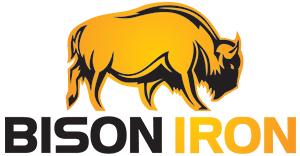 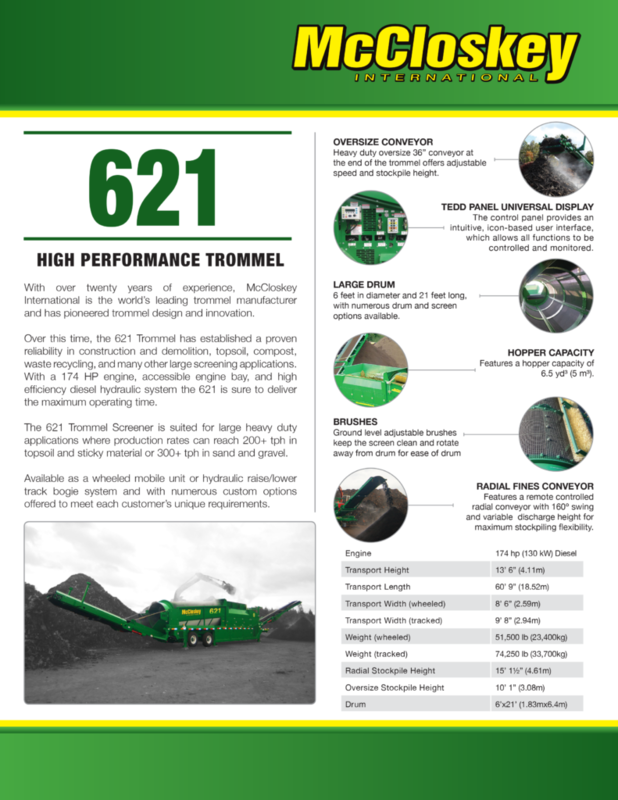 621 TROMMEL – Bison Iron Corp. 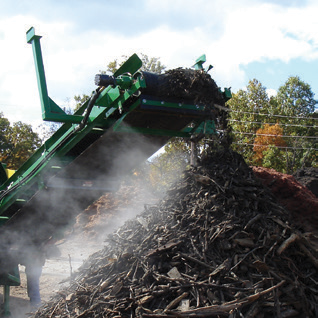 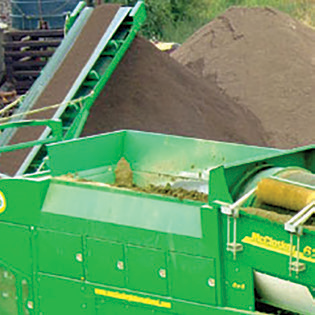 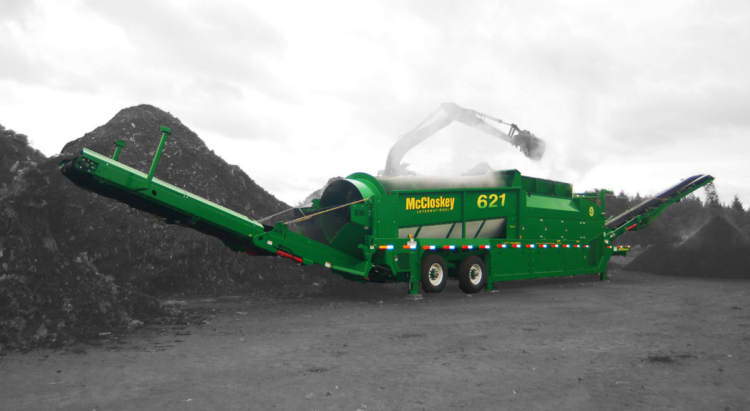 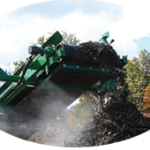 The McCloskey™ 621 Trommel has established a proven reliability in construction and demolition, topsoil, compost, waste recycling, and many other large screening applications. 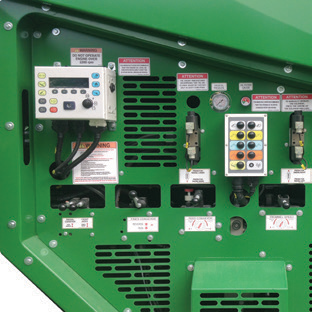 With a 174 HP engine, accessible engine bay, and high efficiency diesel hydraulic system the 621 is sure to deliver the maximum operating time. 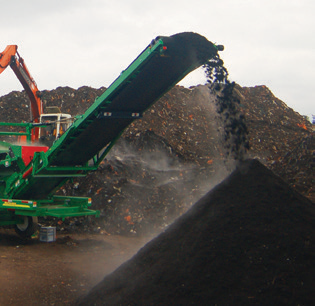 The 621 Trommel Screener is suited for large heavy duty applications where production rates can reach 200+ tph in topsoil and sticky material or 300+ tph in sand and gravel. 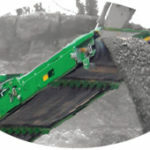 Available as a wheeled mobile unit or hydraulic raise/lower track bogie system and with numerous custom options offered to meet each customer’s unique requirements. 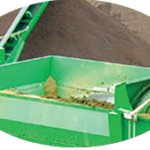 Heavy duty oversize 36” conveyor at the end of the trommel offers adjustable speed and stockpile height. 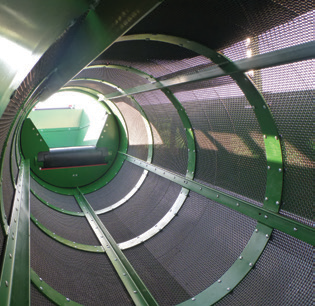 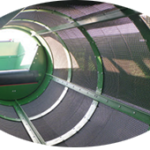 6 feet in diameter and 21 feet long, with numerous drum and screen options available. 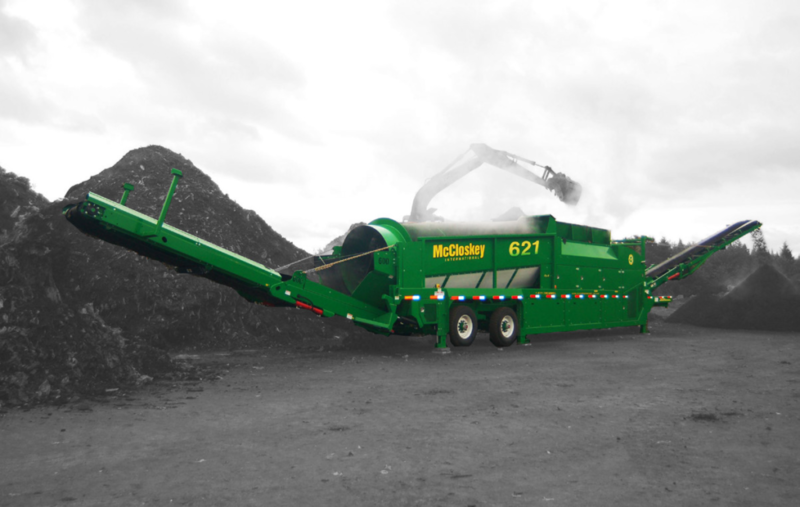 Features a hopper capacity of 6.5 yd³ (5 m³). 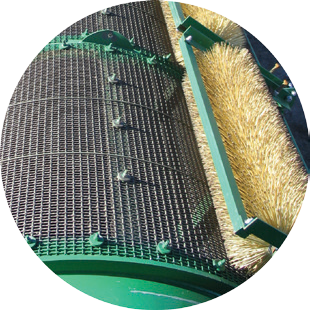 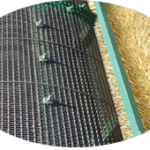 Ground level adjustable brushes keep the screen clean and rotate away from drum for ease of drum. 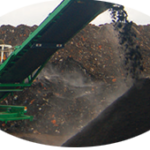 Features a remote controlled radial conveyor with 160º swing and variable discharge height for maximum stockpiling flexibility.